Unfortunately (or fortunately, depending on how you look at it), I'm still recovering from both my surgery and the flu, so I can't stomach any chocolate or other candy. However, that doesn't mean I can't celebrate the holiday with a little sparkle! When I asked over on the Princess Polish Facebook page what you all wanted to see from my Valentine's Day manicure this year, it seemed lots of you wanted something non-traditional, possibly holographic. So I came up with something that could be both in celebration or opposition of the holiday, depending on how you look at it! 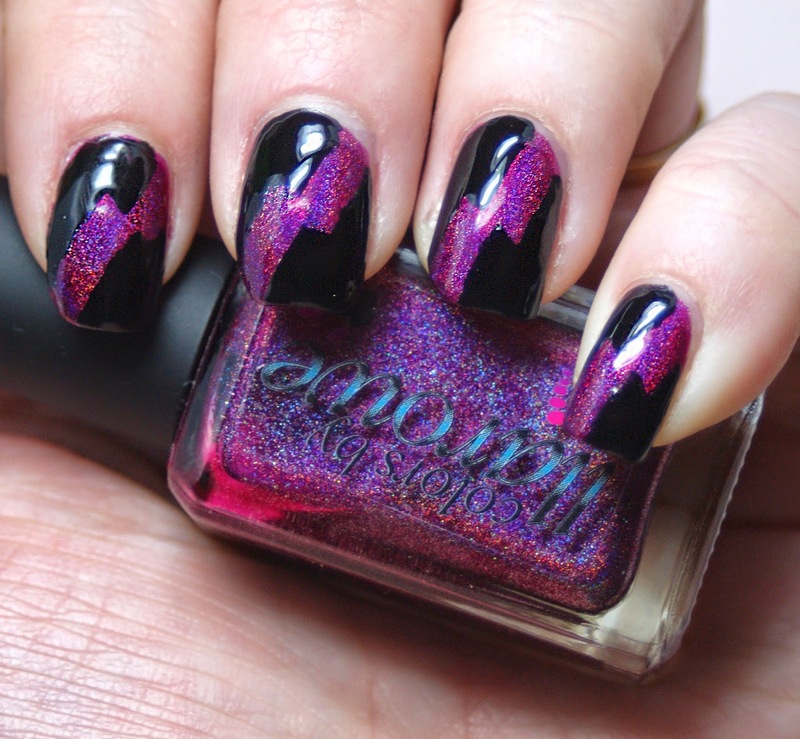 The base color is Colors by Llarowe Dirty Diana with Sinful Colors Black on Black on top. I thought that the slash of magenta could be something sassy and fierce for a night out with a special someone, but also could be anti-Valentine's Day because it reminds me of a broken heart. I was really happy to rock this look at least for a day around school and work. Unfortunately, being sick meant I basically was the only one who got to stare at it this week. But oh well! Now you all can see it too! Would you wear this non-traditional mani? 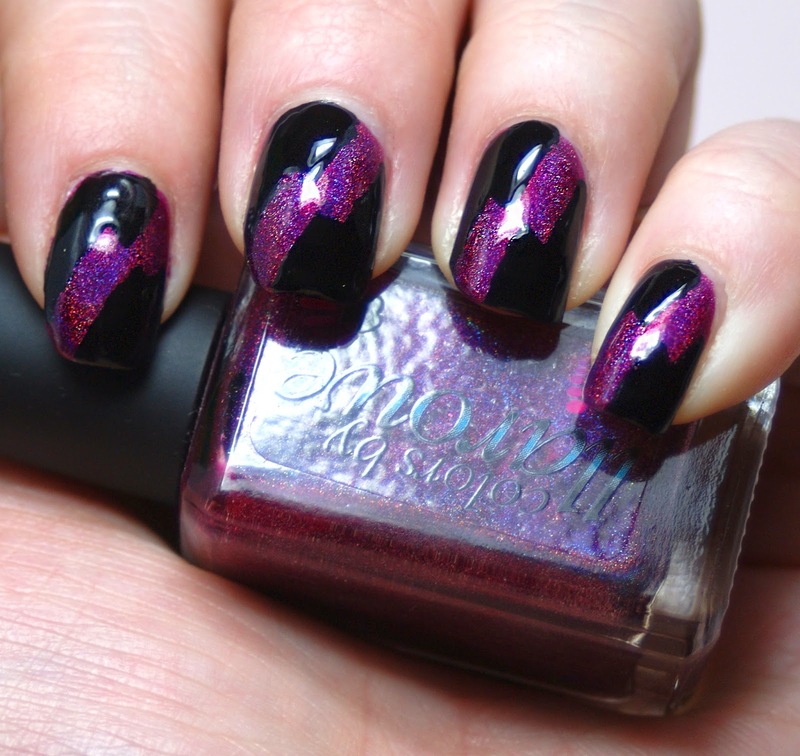 This is a great colour combination- I love black with magenta! I never really thought of the lightning bolt as looking like a broken heart, but now that you mention it, I can see it!